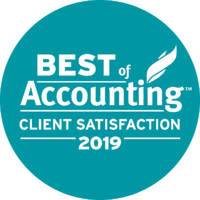 March 27, 2019: Reading, PA – Herbein + Company, Inc. announced that they have won ClearlyRated’s Best of Accounting™ Award for providing superior service. Best of Accounting Award winners have proven themselves as industry leaders in service quality based entirely on ratings provided by their clients. On average, clients of 2019 Best of Accounting winners are 1.9x more likely to be entirely satisfied than those who work with non-winning firms. Over 92% of respondents cite Herbein as always delivering high quality, error-free work. Herbein received ratings from over 600 of their clients, giving a comprehensive view into the high quality service this firm provides across the company. Over 300 clients provided testimonials. Herbein + Company, Inc. is a leading regional certified public accounting firm serving clients throughout the United States. We provide tax, assurance, and advisory services that help our clients succeed with confidence. Offices in PA include Pittsburgh, Allison Park, Greensburg, Reading, Pottstown, Allentown, Spring House as well as Marlton, NJ.